Budgerigars are relatively robust creatures, but can still fall victim to a wide range of ailments. You should always rely on a veterinary expert to make the diagnosis. 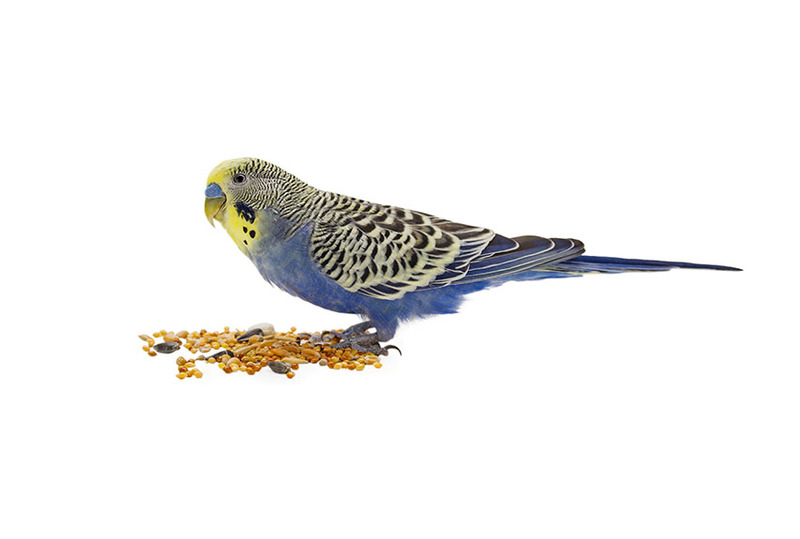 Your task as a budgie owner is to recognise illness in general terms, using the points listed in Budgie Disease Symptoms, above. Also known as macrorhabdiosis, or megabacteriosis, this highly contagious infection is frustratingly difficult to spot in the early stages. The AGY incubates and proliferates in the bird with no outward sign of trouble. The first thing you might notice is that your budgie loses weight, in spite of eating with his usual gusto. This is because the AGY impedes digestion. You may then spot undigested food in his droppings, or the bird may vomit food and mucus. He will also become listless. Until 2004 the cause of the disease was thought to be a bacteria, but it has now been identified as a yeast, Latin name Macrorhabdus ornithogaster. 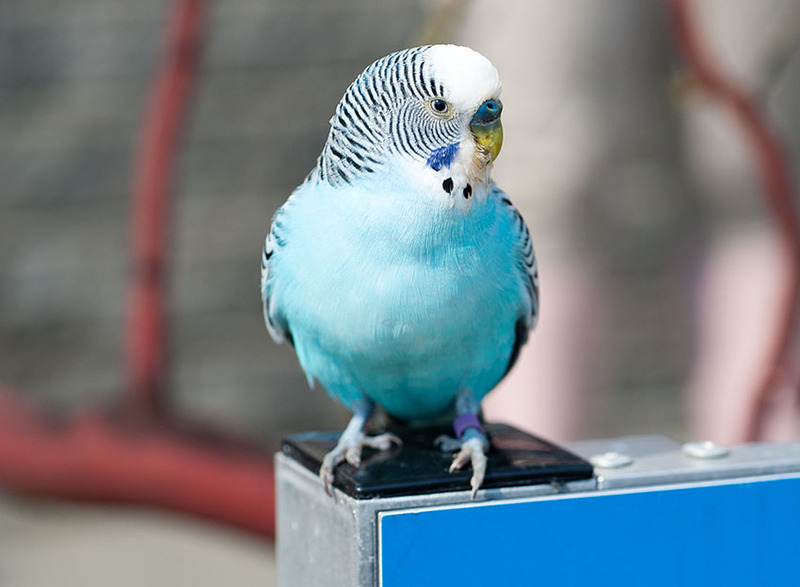 The misdiagnosis came about due to bacteria, including Streptococcus, taking advantage of the budgie’s hammered immune system and spreading secondary infection. The combination of the yeast and bacteria attack leads to a condition called wasting disease (sometimes called “going light”). Your vet will be able to administer a drug to combat the AGY, and will recommend a healthy diet to aid recovery. This usually involves omitting all yeast-feeding sugary foodstuffs. You will still need to keep a close eye on your birds, as AGY has the horrible habit of lying fallow and then blooming again a few weeks later. This is another yeast infection. Candida, the organism responsible, is a form of thrush (the virus, not the bird! ), and can bloom anywhere in a budgie’s digestive system from the crop downwards. Some of the symptoms are similar to AGY infection – listlessness, vomiting and loose droppings. The vomit will have a nasty smell, and the bird’s crop may swell up, due to gases produced by the Candida yeast. In advanced cases the budgie will suffer loss of balance and shaking fits. Candidiasis can only be cured with drugs that kill the bacteria, so a trip to the vet is essential. The cure takes about one week, during which the budgie’s diet should be closely controlled to avoid the ingestion of yeast-feeding sugars. This condition has more than one cause, but all the suspects are members of the yeast family. The symptoms are a swollen crop and sour-smelling vomit. Once again, it will take a targeted drug to kill the infection. 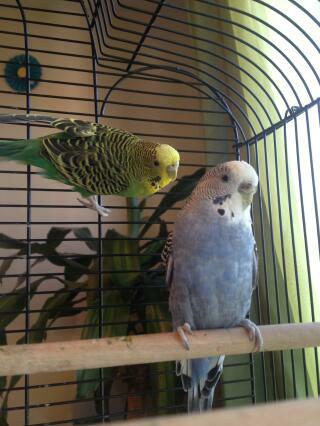 Sneezing, or coughing, is a symptom of a cold or similar virus in the budgie’s upper respiratory tract. There will be an accompanying runny nose, or the cere will be caked in dried nasal discharge. A budgie sneeze is unlike a human’s, but it’s a noise you won’t have heard him make before, and that will alert you to the fact that something is wrong. The sneezing/coughing will be accompanied by other symptoms such as listlessness, panting, and spending a lot of time on the bottom of the cage. The bird may be short of breath, and may sometimes grip the sides of the cage with his feet and beak, stretching the neck in an effort to get more oxygen in. His breathing may be noisy: it will sound like a finger being rubbed on glass. 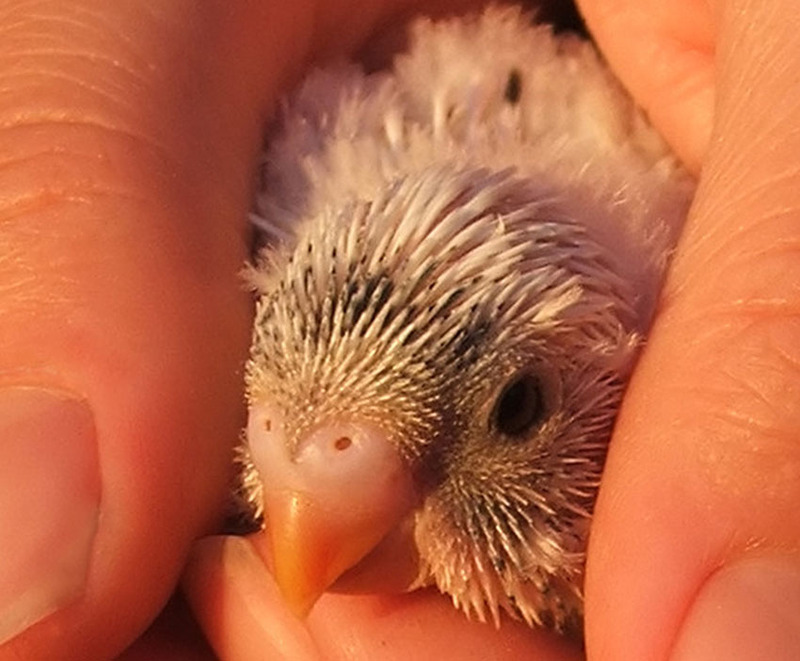 Various bacteria are involved in these budgie colds, and unlike a human cold they will not simply disappear after a few days. 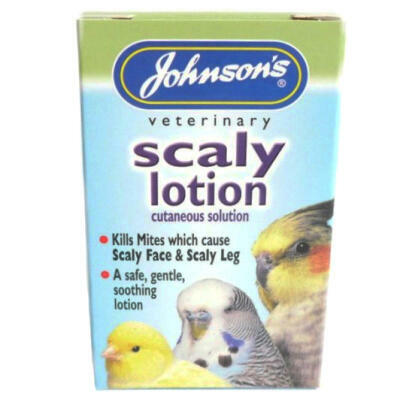 You can use a tissue on a tamed bird to soak up some of the nasal discharge, but you still need to get the bird to the vet as soon as possible. 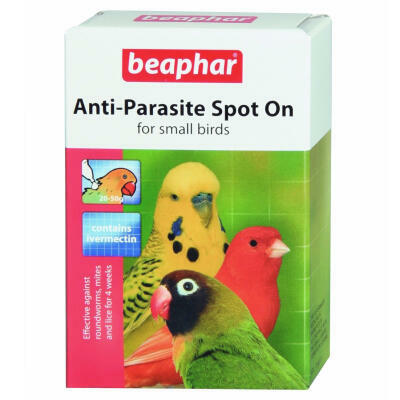 This is the bird-borne disease most people have heard of, due to it being transmittable to humans (see Can Humans Catch Diseases from Budgies?, above). 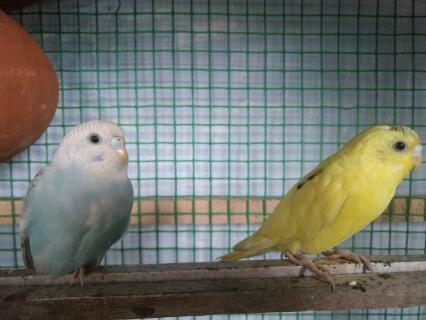 Chlamydophia psittaci is the organism responsible for the condition, and it is estimated that 1% of wild birds harbour the disease, a figure that rises to 30% in captive budgerigars. Most of these are carriers, showing no symptoms themselves, but passing the disease on via their droppings and saliva. Keeping cages clean is therefore the best way of preventing the disease from spreading. 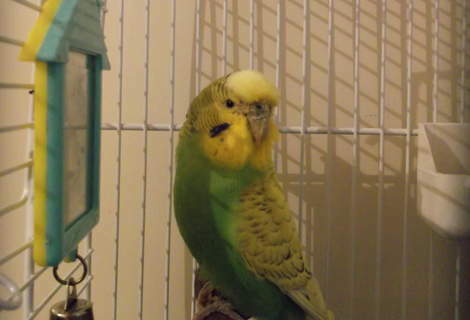 A bird that succumbs to parrot fever will display most of the symptoms described in Budgie Disease Symptoms, above – listlessness, ruffled feathers, breathing problems, loose green droppings, gummed up cere, etc. The ill bird will need to visit a vet to verify his condition. Isolation is then vital, and the cage the bird came from will have to be disinfected. 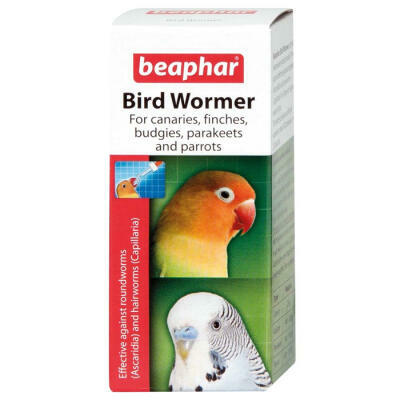 Monitor your other birds for symptoms, and remove any that you think may have succumbed. The vet will prescribe drugs, or may recommend that it is in everyone’s best interest to have the bird humanely killed. Also known as Papovavirus, this is caused by the Psittacine polyomavirus virus, which kills the young birds before fledging. It does not affect adult birds, although there is the possibility that they may be carriers of the virus. In a milder form, the virus produces a condition known as French moult (see below). Any wound on a bird can become infected and lead to septicaemia (blood poisoning). This will finish off a small bird like a budgie very quickly. If you see any traces of blood on the birds or in the cage, make a visual examination to spot the wounded party. It could be a case of feather bleeding (see above), but is more likely to be an injury. Any flesh wound should be referred to a vet for antibiotic treatment. Prevention is the best cure for this problem. Make sure the cage is free of sharp or pointed objects that could lead to wounds. This is a condition that affects chicks who have been squatting on a flat nesting box floor while their leg bones develop. Setting up your nestbox correctly should prevent the problem from occurring (see Budgie Breeding Boxes, below). If the legs are splayed, the condition can be remedied by taping the legs together between the ankle and the knee for a few days, with enough slack for the bird to move around. Consult an expert before attempting to do this, though. Hi. I've just recently purchased two baby budgies but noticed within a day one has a lump on a claw on one foot and another lump on a claw on other foot. Is this from reading research poo from birth in nest or something more sinister? Is it ok to clean it off or just leave it? Not sure what to do. It's our first budgies so need advice from anyone please. Our budgie’s nose seems a little swollen and gray. He isn’t eating as much food. Other than that, he appears normal. Is he sick?